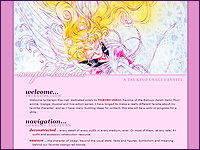 The name Endymion is not one that is unique to the world of Bishoujo Senshi Sailormoon. Like many, many aspects of the series, Endymion is inherited from ancient Greek mythology. There are several different versions of the same basic story, but I will try my best to make this as coherent as possible. Endymion was a young, handsome mortal man. Some versions of the story say that he was a simple shepherd; others claim he was the King of Elis. Regardless, the Moon Goddess Selene laid eyes on him one night and fell in love with him. The love between an immortal and a mortal was forbidden, making this romance interesting in a Romeo and Juliet sort of way. Of course since Selene was a goddess, she would stay eternally young and beautiful. Endymion, on the other hand, would eventually succumb to time, age, and death, as mortals do. Selene then put Endymion into eternal sleep, keeping him deathless. This way she could gaze upon him lovingly every night, and he would never grow any older. It is said that Selene bore Endymion fifty daughters during this time. While Selene had been engaged in love affairs before him, it is said that she stayed true to Endymion, even after he was put into eternal sleep. "Selene's moon rays fell upon sleeping mortals, and her kisses fell upon her love, Endymion..."
Obviously, the forbidden love between Princess Serenity and Prince Endymion is one of the most fundamental concepts that the manga and anime are built upon. In the manga, Queen Serenity says that she is a descendant of the moon goddess Selene; therefore her daughter Princess Serenity is as well. The people of the moon had a much longer lifespan than that of the people on Earth. While not completely immortal, Serenity would still have outlived Prince Endymion, just like Selene would have outlived Endymion of Greek Mythology. Their romance was a forbidden one, just like Selene and Endymion. 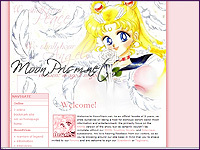 Princess Serenity would descend to Earth just to be with him. The prince and princess' story ends much more tragically than that of Selene and Endymion, but from this tragedy, their love could blossom fully in their next life, since they would both be born on Earth. Of course, Serenity and Endymion does not fully follow the Greek myth in another big way. 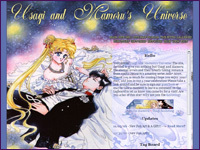 Usagi bears Mamoru only one daughter, Chibiusa - not fifty. It's interesting to delve much deeper into this topic and tons of other mythologically-inspired characters, events and such in Bishoujo Senshi Sailormoon. Takeuchi-san really did deeply care about this intricate story she created, and the extent of which you can research all of it shows it. 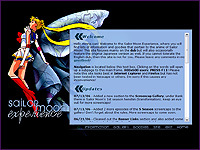 Bunny's Tour Through The Silver Millenium - One of the best general Sailormoon sites out there, and has lots of cool things to read on this in the "Moon Mythology" section. Mythography - Very useful Mythology reference. 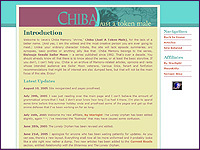 The Greek Mythology Link - Very thorough, well worth a look.